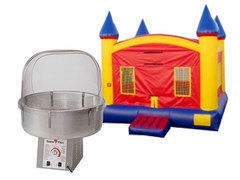 Everybody likes to save money whenever possible, and getting the best price and value at U Bounce Inc. is no exception. 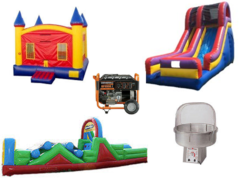 That's why you'll want to bookmark this page and keep up on the great package deals U Bounce will be offering to our valued customers. 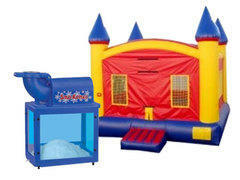 You can also like us on Facebook to get news on special deals there, that only our Facebook family can receive. Browse the selections below and click on the "More Info" link for more information and to make a reservation. 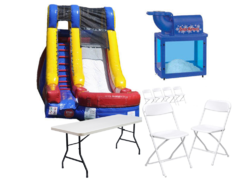 U Bounce Inc. Inflatables & Party Rentals delivers our discounted package deal rentals to your event in Harrodsburg, Danville, Lawrenceburg, Lexington, Frankfort, Nicholasville, Lancaster, Stanford, Versailles, Richmond and throughout the Central Kentucky area. Don't see your area here? Give us a call! 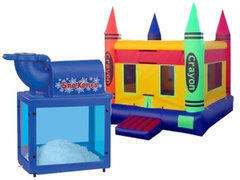 Castle Freeze Package - $9.99 SAVINGS! 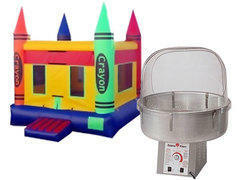 Crayon Candy Package - $9.99 SAVINGS! 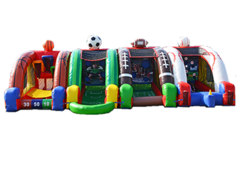 Extreme Inflatable Sports Package - $40.00 SAVINGS! !